Cindy Jacobs: "It's a Time of 'Extreme Acceleration!' Launch Out into the Deep!" "It's a Time of 'Extreme Acceleration!' Launch Out into the Deep!" Cindy Jacobs is a well-respected prophetic voice in the Body of Christ...I always look forward to what she receives prophetically from the Lord for the seasons we are in. I recently joined Cindy and Mike Jacobs, along with many prophetic voices in Texas, for their Global Prophetic Summit. So much was released and I know you'll be excited to hear what God has in store for 2019 and beyond. The Lord has been talking to us for a while about this concept of extreme acceleration and "suddenlies." I hear Him saying again, "Prepare for the time of acceleration." The Lord says, "For many people, I bring a visitation of acceleration, but they are not ready to do what I have called them to do. Their mindset is to resist change. Their mindset is full of fear, and they're afraid when the season comes and begins to move fast. They want to put the brakes on, and they want to say, 'No, I want to think about this.'" The Lord says, "There's a time to think and to pray, and there's a time to do and to take actions. 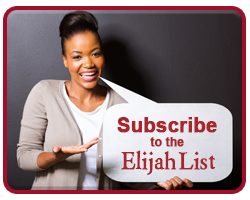 I am anointing My people to be risk takers; I'm anointing My people to get off the mark." Don't let fear paralyze you. Don't let depression paralyze you. Don't let the past depress you. Don't let the past keep you back. When the time comes, I see this picture I've seen in movies of the hero or the heroine when they have to jump on to a fast-moving train, or they have to jump on to a car from another car that's careening down a road. Well, the Lord says, "Jump!" But What If You Win? A lot of people say, "Well, what if I miss?" Well, what if you win? I believe that the Lord is saying this especially to a lot of entrepreneurs right now. Some of you, in fact, have been praying earnestly for a confirmation that you are supposed to make a move, and as long as you have peace in your heart about that, just go ahead and jump. 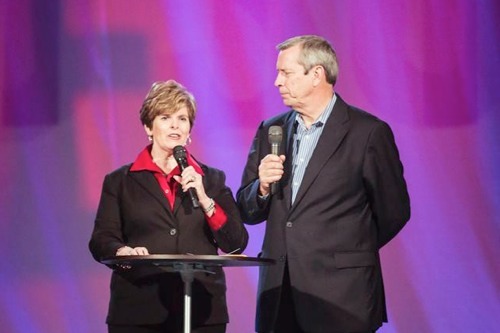 Mike and Cindy Jacobs co-founded Generals International in 1985. Mike and Cindy co-host a weekly television program called God Knows that airs in more than 200 nations. Mike and Cindy also provide leadership for the Reformation Prayer Network (RPN), an organization with representatives in each of the fifty United States, working to support and uphold Biblical values through prayer and local action. Cindy is a respected prophet who travels the world, ministering not only to crowds of people but to heads of nations. Mike and Cindy love to travel and speak, but perhaps their favorite past time is spending time with their children, along with their six adorable grandchildren. The Jacobs make their home just outside of Dallas.